This past year, Respro started having Spanish food safety workshops. Some would call it a “class,” but there are no books, notepads, pencils or tests. It’s an honest discussion of food safety topics for Spanish-speaking staff members in restaurants. After a one-hour sit-down discussion, it’s common for a tour to be given with the staff and Spanish-speaking food safety professionals in their own restaurant. Open dialogue is had with staff members about their positions, discussing what food safety issues they may be faced with and how to deal with them. Many of our clients have expressed concerns with not having access to enough food safety training materials in Spanish. There are plenty of books, online translators and written materials in Spanish, but there’s very little food safety discussion happening directly with staff in their own working environment. When we designed this workshop, we wanted to create an environment that enabled the Spanish-speaking staff to open up about their understanding of food safety and discuss some of the barriers they were experiencing at their positions. In some workshops, as discussions continued, it was eye opening for us to hear that some of their concerns stemmed from their English-speaking managers. It appeared that in some cases the English-speaking management staff was less likely to address the concerns of an employee that might have a hard time effectively expressing his or her problems. For example, managers weren’t taking seriously an employee’s disclosure that he was sick and therefore unable to work. This may have nothing to do with the language barrier and more to do with a manager’s responsibility to keep the kitchen fully staffed. The manager has a difficult job, and it’s hard to weigh what’s right with the pressure of making sure the restaurant is properly staffed. Either way, it was good to point this out to the management staff. They didn’t know this was a concern of their Spanish-speaking workforce. These bilingual workshop give Spanish-speaking workers more of a voice that maybe they didn’t have before. By expressing their concerns in their native language, they are able to be very candid and relaxed. The workers are able to have better and more detailed understanding of food safety issues. Food safety policies and procedures can be very technical. Even many of the English-speaking clients we work with don’t fully understand the requirements. How can Spanish-speaking staff be held accountable for these same requirements if they aren’t allowed to learn and discuss them in their native language? The Multicultural Foodservice & Hospitality Alliance estimates in 2008, 17 percent of the restaurant industry employed Hispanics across the country. I actually think in Utah the percentage has to be larger than that. 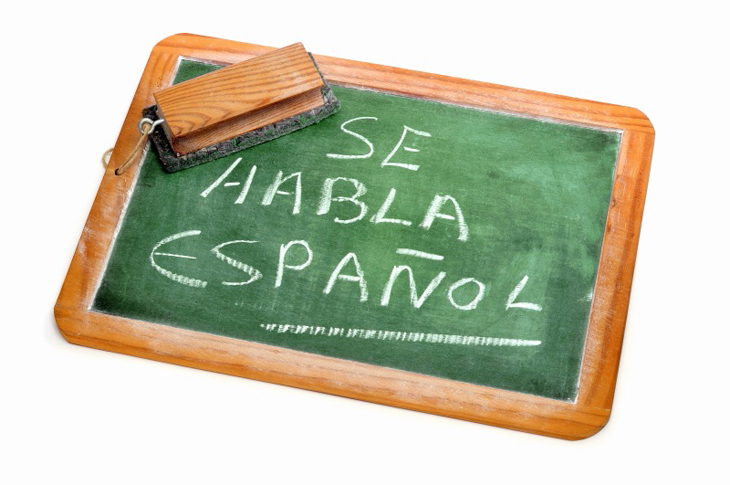 Every one of my clients employs people who have Spanish as their native language. Also, it’s estimated that the restaurant workforce will grow to 13.8 million workers by 2014. Employment trends show that the majority of that workforce will be Spanish speaking. Spanish-speaking workers need more open dialogue of food safety topics in Spanish. All restaurants should be providing more resources to this part of their workforce. It makes the staff more educated and confident with food safety, resulting in more commitment by the entire staff. This should also result in better protection for the restaurant and its customers due to the decreased risk of foodborne illness. Respro will continue to develop more tools to support the Spanish-speaking workforce of our clients. To schedule a bilingual workshop in your restaurant, please contact us: Dennis@resprofsp.com.